Please note that Ian is usually available at weekends and in the evening. I was born and bred in Toddington and have spent most of my life there, I attended the local schools, the Parish church and many village organisations and this has given me a great sense, and love of community; this is a gift which I bring with me in my ministry. 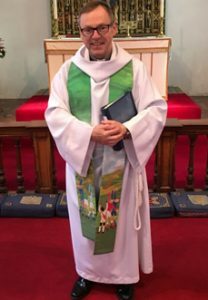 My title post in the Benefice is as a Self-Supporting Assistant Curate, so I will continue to work full-time at Vauxhall Motors where I have been employed for the last 41 years, based mainly at the “Toddington Road Warehouse Site” in addition to my ministry with the team in the Benefice. 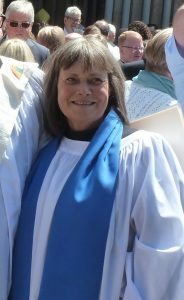 Church has been important to me from an early age, being a chorister, bell ringer and junior PCC member at Toddington until the early 1980’s then active as server and Church warden at Chalgrave from 1990; but I am the first to admit that realising my call to ministry some 6 years ago was an enormous surprise. My ministerial training has been on a part time basis, taking place over the last 3 years through the Eastern Region Ministry Course. 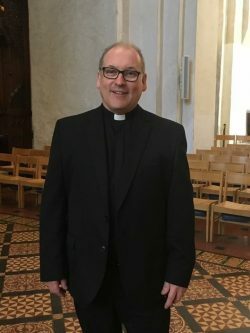 This mode of formation for ministry has included weekly study sessions in St Albans, along with 6 study weekends and a Summer School in each academic year which took place in Norfolk. 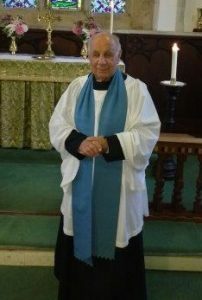 In addition to academic studies I have experienced ongoing, supervised, practical learning within my home parish and in placement parishes (including 9 months locally at Flitwick with Rev. Lucy Davis); which have enabled me to develop my worship skills further. This model of formation has been really enjoyable and has allowed me to experience a wide range of worshipping styles which I can draw on moving forward. I am really looking forward to spending the next 3 years of my training and development working with Dave, Gillian, Roy and the team in this Benefice, but as I will continue to work full-time, my Parish ministry will be limited to evenings where possible, and on Sundays. I am a family man being married to Christine for 26 years, and we have two children still living at home, Rebecca who is 19 and at university and Sam who is 14 and studies locally at Harlington Upper School. As a family, we would like to thank you for making us feel so welcome; we appreciate your friendship and fellowship and we look forward to the next 3 years together.